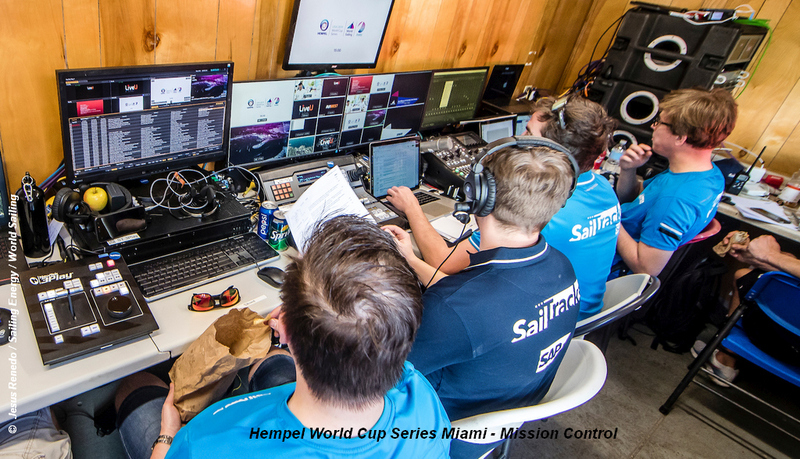 The Hempel World Cup in Miami petered out on Sunday, but there are always winners and loosers . . . heartbreak for one is jubilation for another. The British 49er/FX teams finished in the medals despite the character forming (difficult) conditions, and while it may have been heartbreak for Hannah Mills and Eilidh McIntyre with 470 gold snatched from them at the eleventh hour. For Norway’s Hermann Tomasgaard this will be remembered as his breakthrough regatta, a first World Cup win, and done in style, claiming gold with a 65 point lead going into the Laser Medal Race. Action will now move to Europe and the ever popular Princess Sofia Regatta in Palma, Mallorca at the end of March. This important regatta kicks-off a busy couple of months, with the next World Cup event in Genoa and European championships for each of the ten Olympic classes taking place within a ten week period. This is a critical period for the British Sailing Team (BST) with selection for the Olympic 2020 sailing Test Event in August the target. Only one entry per event is allowed for this, and performance at the Enoshima Test Event will then likely determine whether an athlete is put forward for Team GB Olympic selection or whether the selection process continues. This in effect means that the initial Tokyo 2020 selection has to be made by the Test Event entry* dead-line, 15 June, making perfomance at the April and May events critical for selection. The RYA does not release details of the events it is using as Indicators for the Games, but past experience would suggest that the Olympic Steering Group** aim to make a decision for the Enoshima Test Event by the end of May. This would cover the Palma, Genoe and Hyeres Olympic classes events and the various European championships, but make the Olympic Classes World Cup 2019 Final in Marseille (2 to 9 June) possibly too late to be considered. A bonus for British sailing fans this year, is that the European Championships for the 49er, FX and Nacra 17 classes will take place at WPNSA from 11 to 19 May. * Note: Final Olympic entry deadline is not until 6 July 2020. ** Note: The RYA Olympic Steering Group, an expert panel made up of former Olympians and BST senior management, is comprised of: Jarrod Simpson, Rob Andrews, Saskia Clark, Sarah Gosling, Mark Robinson and RYA Director of Racing Ian Walker.